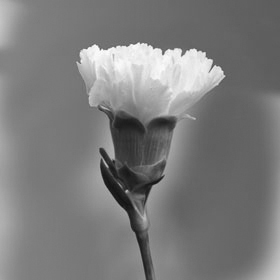 Color tones for all White Spray Carnations may vary due to the computer monitor and/or Mother Nature. 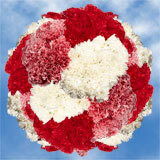 Vibrant White Spray Carnations boast a sea of wavy petals in radiate pure and innocent beauty. 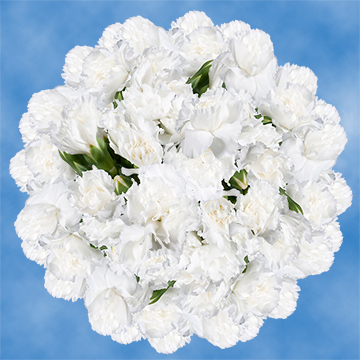 • Diameter when bloomed: 1.3" - 1.4"
Order a bouquet of our fresh white spray Spray carnations, and you're sure to be pleased with your purchase. 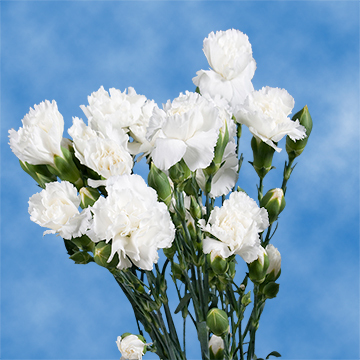 Our fresh cut white spray Spray carnations are available online for your ordering convenience. 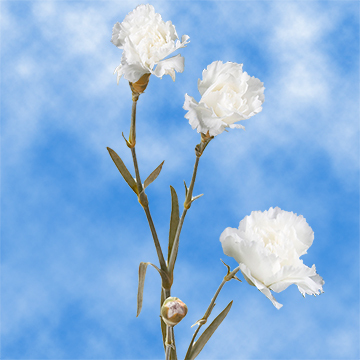 The delicately colored flowers are perfect to add a touch of elegance to your design idea for that very special event or occasion. 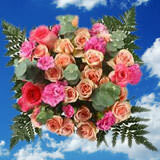 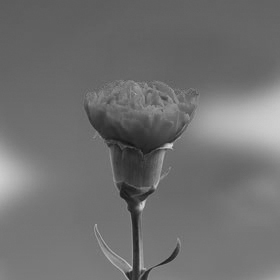 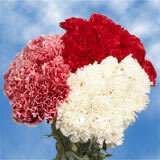 When you need to conveniently order white spray Spray carnations online, we are the company to trust. 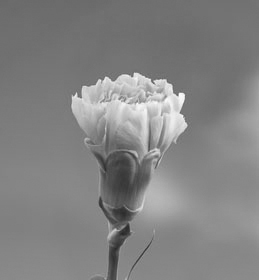 White spray Spray carnations also can be uplifting and heartwarming when given to someone as a gift. 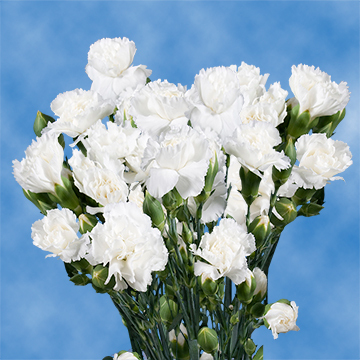 We delight in delivering all of our online orders for white spray Spray carnations to our customers in the fullness of their bloom. 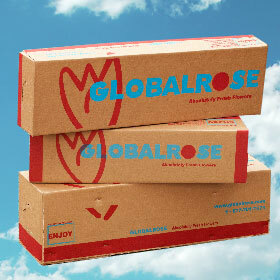 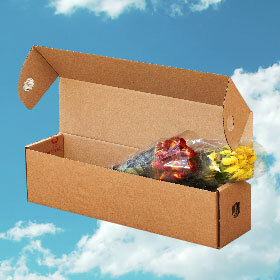 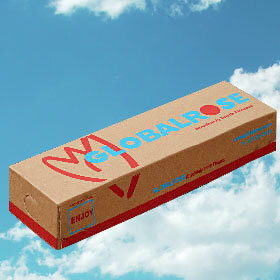 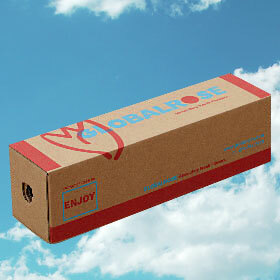 We also offer free delivery for online orders. 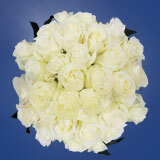 When you order white spray Spray carnations online, your bouquet is prepared just before delivery. 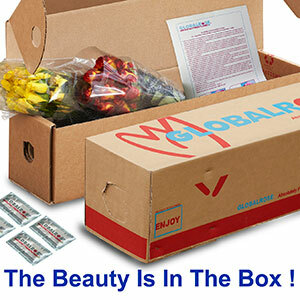 We are proud to be one of the few companies that can promise to provide excellent quality and prompt service to our customers. 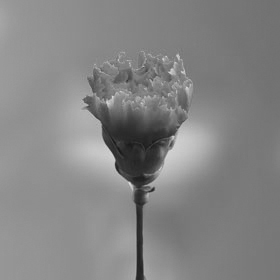 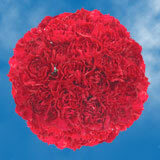 Our white spray Spray carnations are guaranteed to arrive with every petal intact. 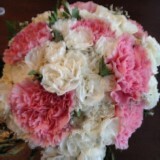 We are the premiere dealer online for white spray Spray carnations.